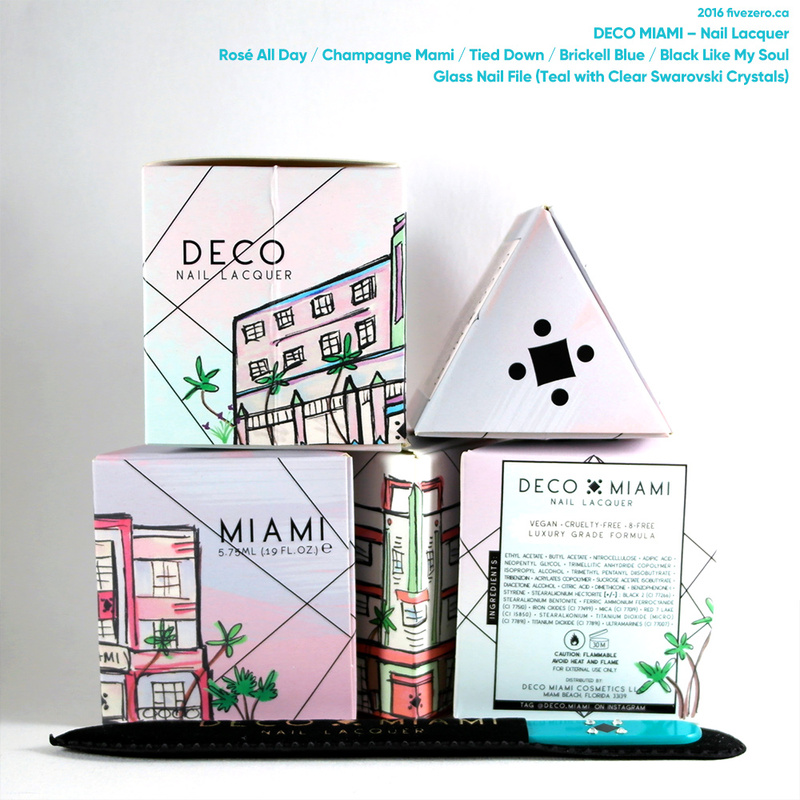 Last November, I spotted Deco Miami‘s beautiful, jewel-like bottles of nail polish on Ashley’s blog (Short Nail Swatcher), and immediately placed my own order. Like, the next day. Brickell Blue, Champagne Mami, Rosé All Day, & Tied Down. So yes, I bought five of them all in one go and haven’t played with them until last month! The packaging was just so spring-y to me that I buried them all winter…but now it’s time for them to come out and play! 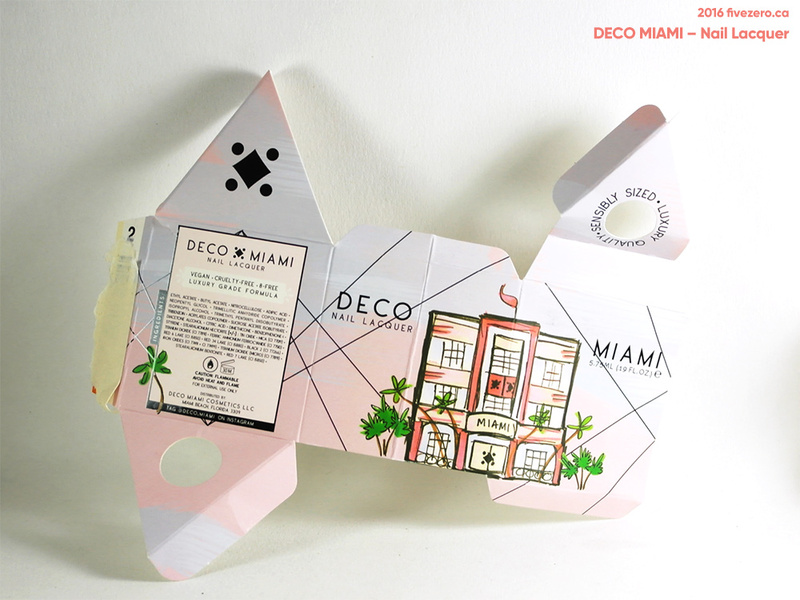 I’ll do a little review here of Deco Miami’s online store, too. Ordering was super easy, and they delivered to Canada, no problem (US$12.99 for my five polishes). They arrived in about a week, and included was a surprise free glass file with Swarovski crystals! Yay! I think it may have been because I bought five, because right now there’s a promo on their site for a set of five Winter 2016 polishes that comes with a free glass file. 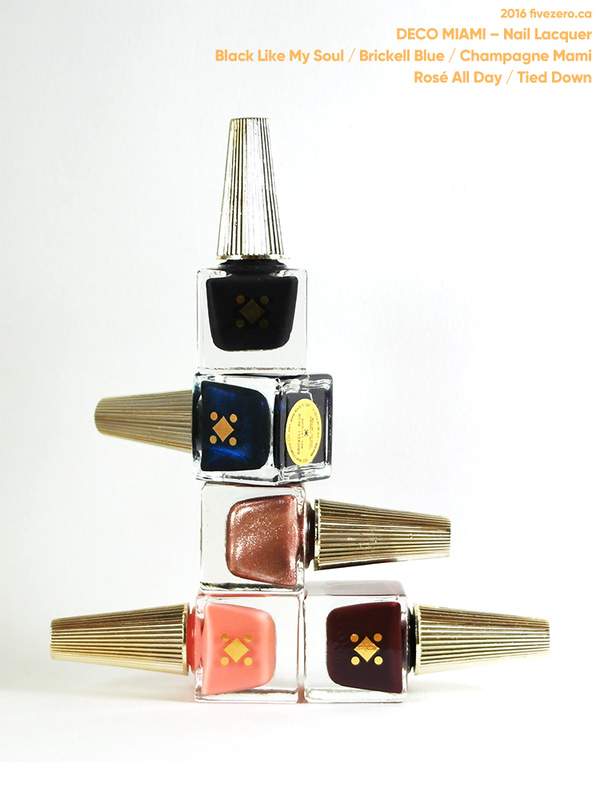 Each polish comes in an adorable, illustrated triangular box, making it perfectly giftable. 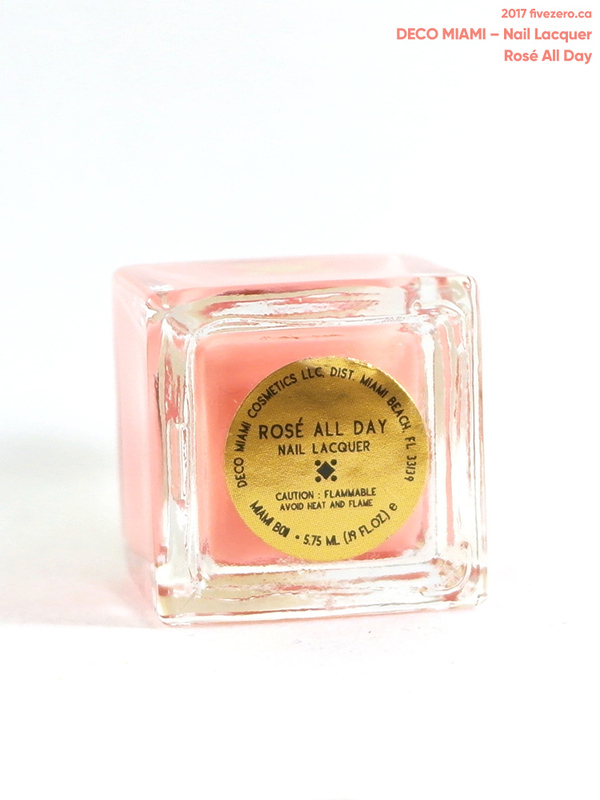 Today, I’m reviewing Rosé All Day, a perfect shade of peach cream for spring and summer. It’s a bright and happy coral pink that is just deep enough to avoid becoming pastel. 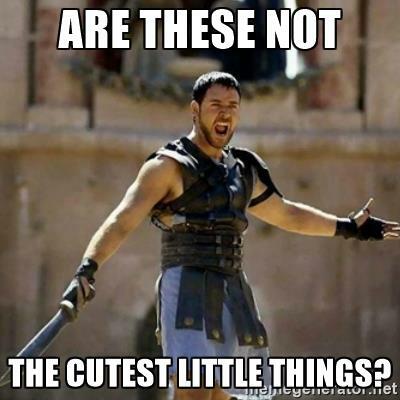 You can see that these polishes are very small: 5.75 mL, to be exact! The concept is to turn nail polish into tiny jewel-like objects, which, frankly, works for me since I don’t really ever finish up an entire bottle of nail polish. If you want some pretty bottles to stick on your dressing table, these are really quite perfect for the job. My only slight disappointment with the bottle design is that the cap is actually gold-painted plastic. I was kind of hoping for a metal cap, like Mavala polishes have, if I recall correctly—and those come in very wee bottles, too. But either way I suppose the gold paint would be likely to chip off with wear. The polish itself is very nice and lives up to the US$12.50 price (which is high considering the amount of polish you get, and the fact that the packaging is cute but not actually made of pricier materials than usual). Rosé All Day was perfectly opaque with two, very smooth and even coats. The brush is shorter, since the bottle is also short, but it is good quality and splays out nicely. I absolutely recommend these polishes for a little splurge, and they would also make an excellent gift for the polish lover in your life! When I purchased my polishes, there was a coupon code for 50% off the polishes, so I paid in total US$31.25 (plus $12.99 shipping to Canada), which made it a much better deal. I ordered directly from the website; they also have a list of stockists based in the US and Canada. I haven’t tried the glass file yet—I’m very partial to my long-serving Essie Crystal File—but it is too adorable! 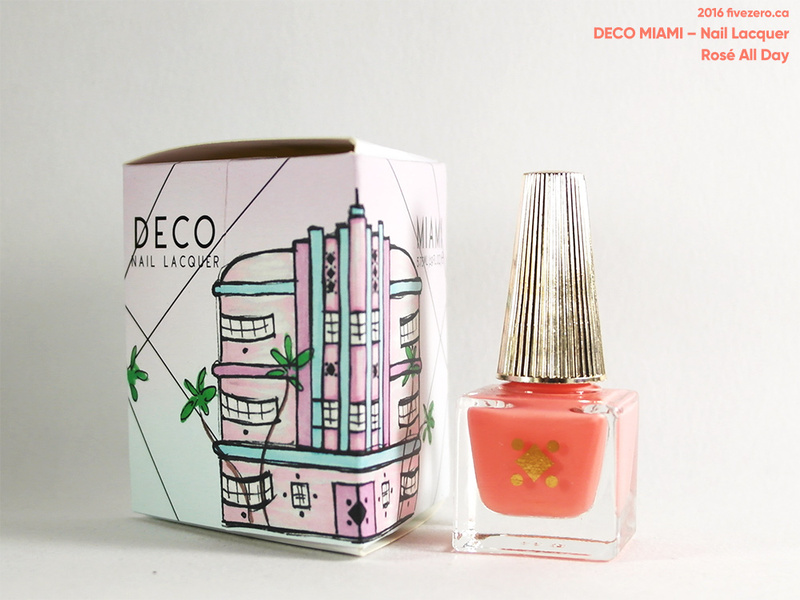 Deco Miami Nail Lacquer contains 5.75 mL and retails for US$12.50. The 8-free formula does not contain toluene, formaldehyde, formaldehyde resin, camphor, dibutyl phthalate (DBP), parabens, xylene, ethyl tosylamide, or triphenyl phosphate (TPHP). 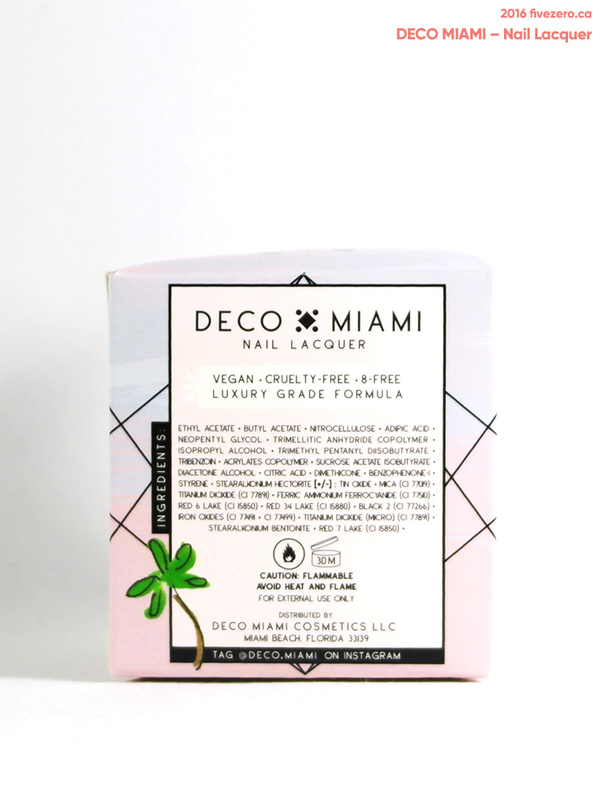 Deco Miami’s products are vegan and made in the USA. The company is cruelty-free. Deco Miami was launched by nail polish aficionado Jules shortly after she graduated from business school in 2015. The company is based in Miami Beach, FL, USA. Gorgeous nail polishes and I just love the packaging. I LOVE the bottle design! And the packaging – wow! What attention to detail. The cap reminds me of the old Witchcraft brand nail hardener bottles – very old fashioned but in a good way. I didn’t know I had such powers of persuasion ;] totally kidding, those adorable bottles and names really speak for themselves! This color looks so cute and smooth on your nails, makes me want to get my Decos out again and wear them!